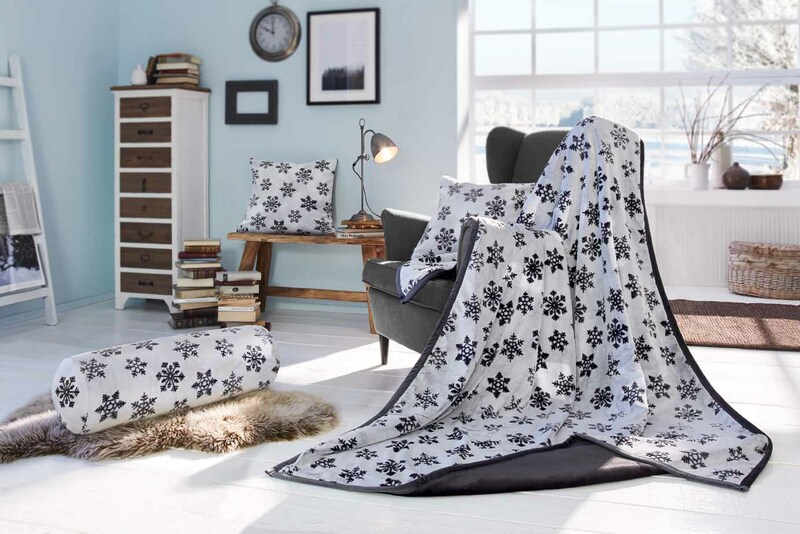 The reversible ice crystal blanket not only features an impressive design, the soft, cuddly and double-layered craftsmanship invites you to relax, dream and cuddle in the evening. 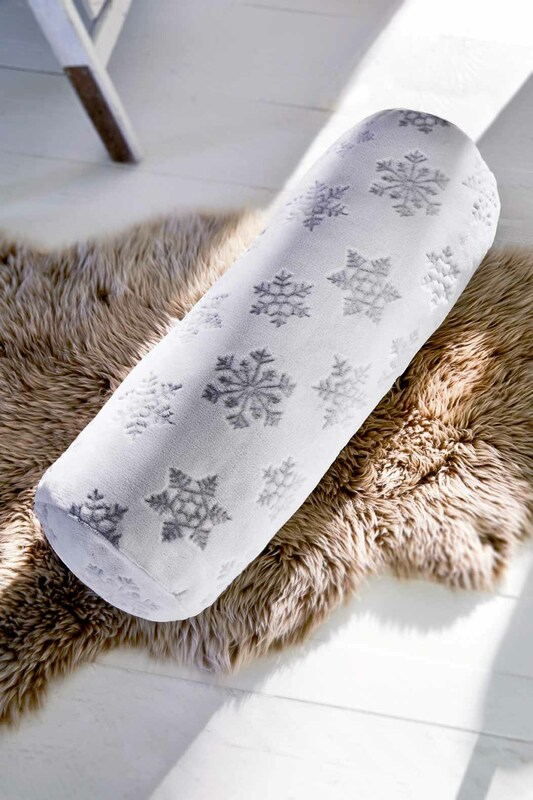 The romantic ice crystal design helps you to relax and unwind. 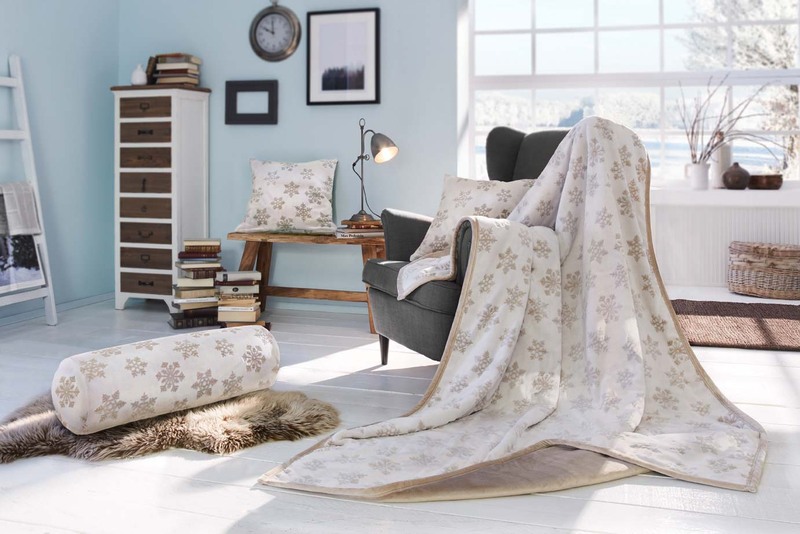 The blanket is available in five colours: cream, berry, taupe, silver and anthracite. 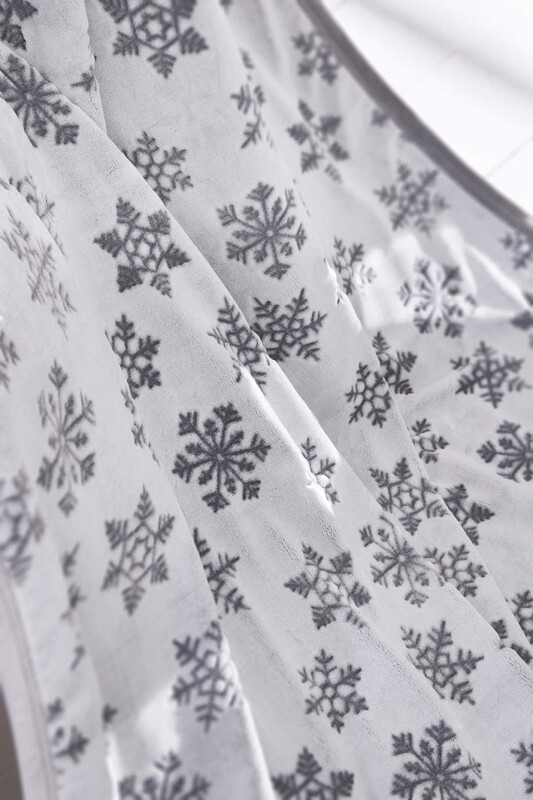 The top side features a beautiful snowflake design, while the underside is unicoloured. 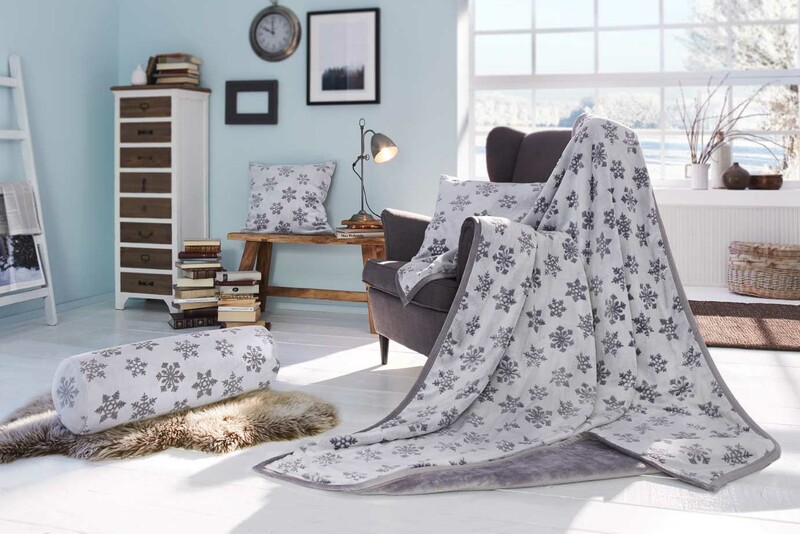 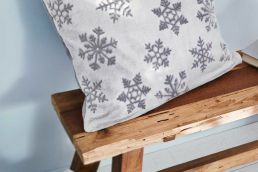 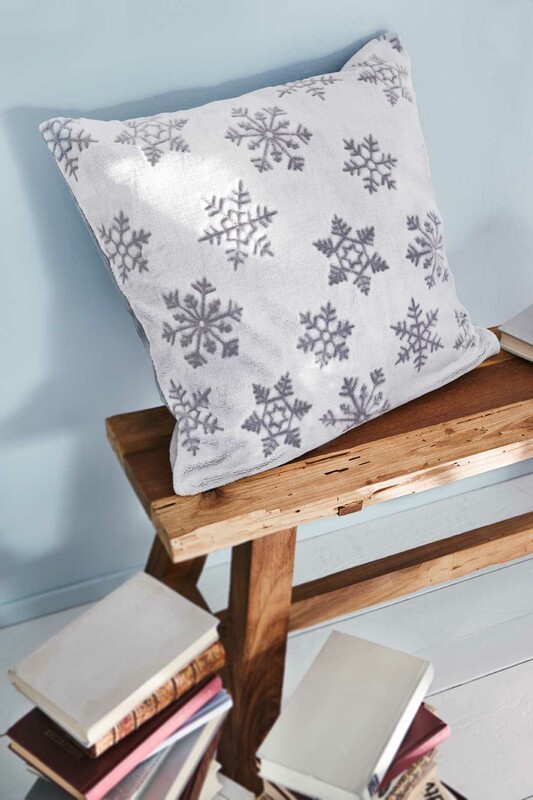 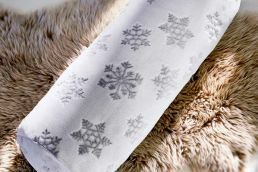 The recommended washing temperature is 30° C. As a perfect addition to this reversible blanket, you can also purchase matching cushions and roll cushions in the same romantic ice crystal design.